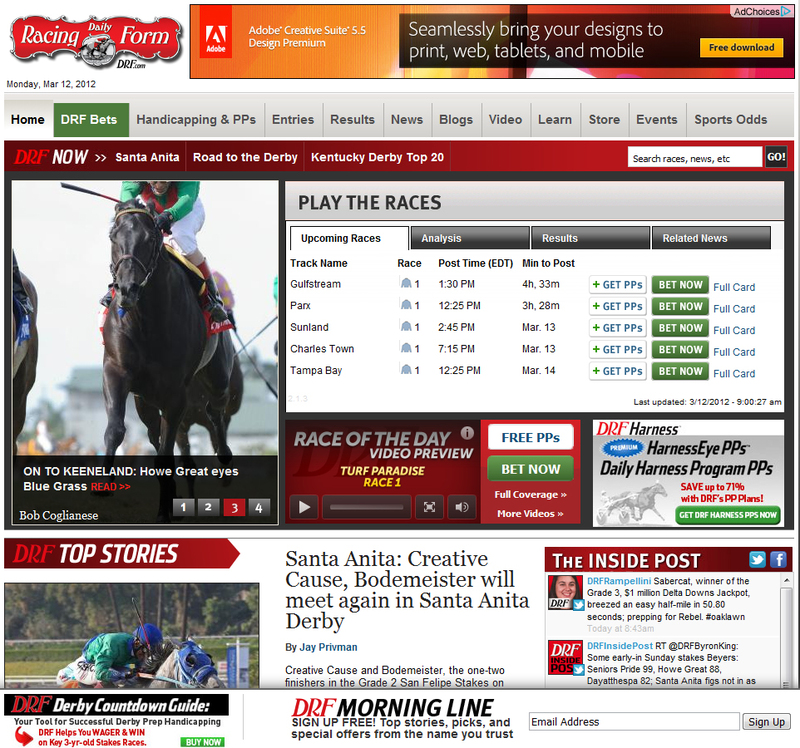 DPCI provided Drupal consulting to help the Daily Racing Form to improve the online experience for both newcomers and veteran horse racing enthusiasts. With an aging technology platform that had not changed in over a decade and an outdated Website hosted and managed by a third party, DRF looked to DPCI to help develop a comprehensive plan for its editorial and publishing processes across print and digital channels. This included updating and integrating the company’s Web content management and workflow management systems in an effort to improve creation, delivery and discoverability of content and ultimately increase traffic and readership of its Website. The Daily Racing Form has some of the most enthusiastic and loyal followers who are die-hard experts that study every aspect of the sport. However, to newcomers interested in learning more about horse-racing, the complex analysis and terminology can be somewhat intimidating. DRF management needed to find a way to provide fresh and timely content to both its veteran and newcomer consumers. 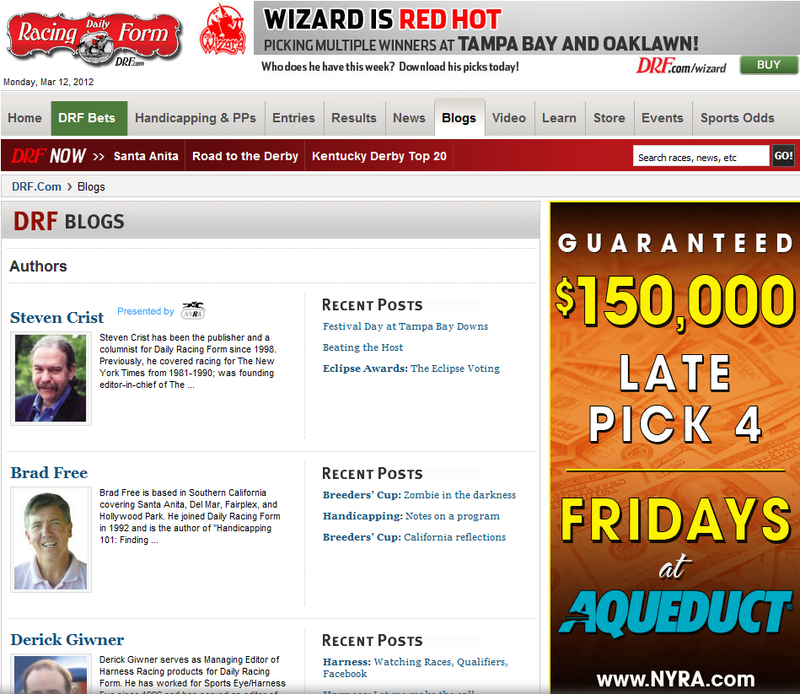 Additionally, DRF sought a way to attract a larger audience and thus grow traffic to the Website. Through a rebranded corporate Web platform, DRF management hoped to provide a more intuitive Website for the novice user while at the same time extending the functionality and maintaining a meaningful experience for the veteran customer. DPCI met with DRF stakeholders to elicit functional requirements for the new Web content management system. DPCI then helped DRF map these requirements to available Web content management systems in the marketplace. After considerable analysis of the available proprietary and open-source options in the marketplace, DRF selected Drupal as the new platform on which to build its online presence at www.drf.com. DPCI next provided Drupal consulting services to help implement Drupal in a way that would dramatically improve DRF’s customers’ experience with the organization’s Website. These consulting services included a semantic analysis of DRF content so that all of DRF’s stakeholders could enrich content with a standard set of vocabularies that are commonly agreed upon in the horse racing industry. The new taxonomy was implemented in Drupal using the Taxonomy module as well as with best practices in information architecture. Now, veteran horse racing enthusiasts can quickly filter content based upon a particular horse, track, jockey, trainer, farm and so on. 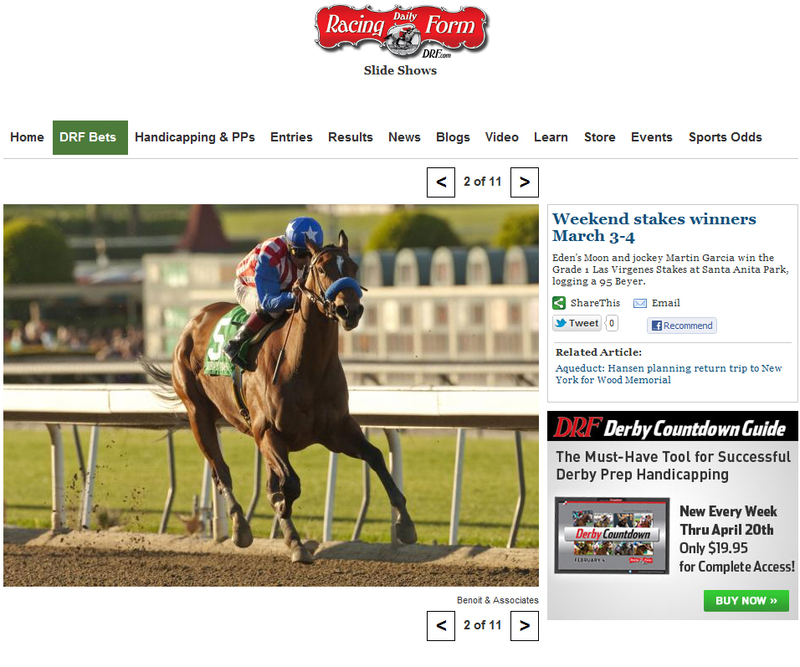 DPCI’s team also implemented a new blog platform for a number of DRF staff experts in the field of horse racing. These blogs incorporated video as well as dynamic ad serving with cross-linking of relevant content and user commenting. DPCI then migrated legacy blog content from TypePad. DPCI next built a custom Drupal slideshow module for DRF that includes interstitial ads and advanced image security to restrict site visitors from downloading images from the slideshow. DPCI helped DRF configure the OpenX ad server integrated with Drupal for contextual ad serving. Editorial content for both print and Web is created within the K4 Publishing System, which DPCI also implemented on DRF’s behalf. DPCI trained DRF editorial staff on SEO best practices and the use of article metadata in the K4 Publishing System to enrich and categorize content for publishing to the Website. Once content has been edited and enriched with metadata, an automated task within K4 delivers the content to Drupal using K4 XML Exporter and DPCI’s K4-to-Drupal module. This new content is automatically imported into Drupal and posted online, continuing DRF’s tradition of being the foremost authority on up-to-the-minute horse racing news. 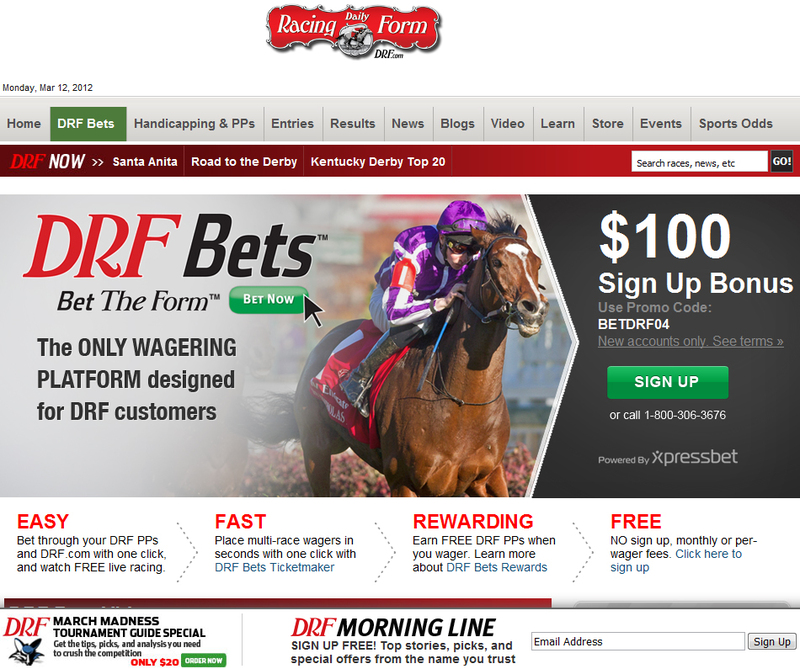 DPCI next helped DRF integrate Drupal with the organization’s BetNow functionality, which allows site visitors a way to immediately place wagers right from the DRF Website. Included in the integration was a way for consumers to view what races were happening at what times at any track throughout the United States. 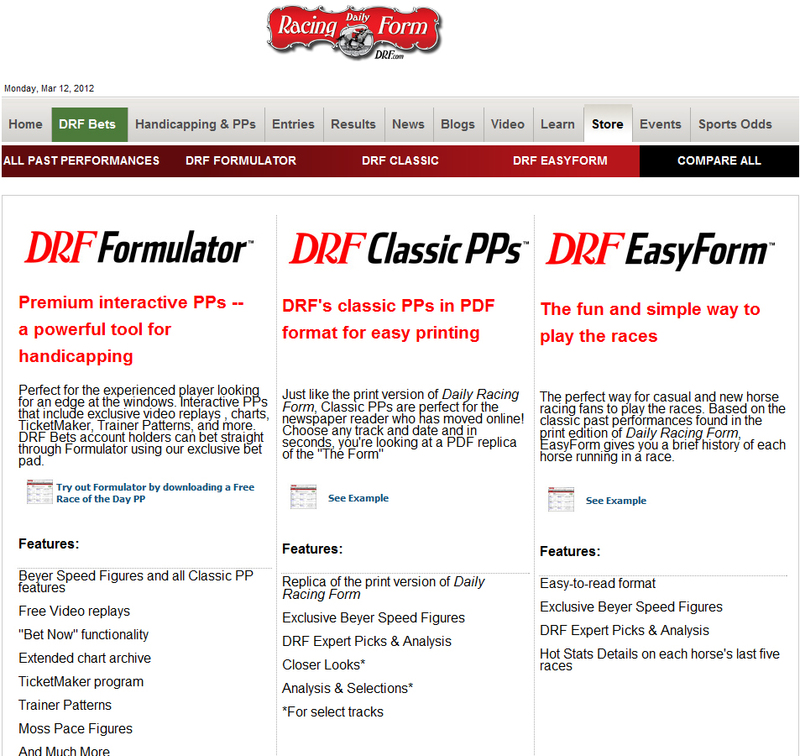 That, along with an integration with DRF’s video hosting partner and DRF’s Past Performance Formulator offering, made DRF’s new Website the most innovative, state-of-the-art platform for the horse racing community. Given that www.drf.com could have anywhere from 3-4 million visits a month, with significant spikes around Triple Crown events, DPCI helped the organization optimize performance by implementing the Drupal Boost module for static page caching. For improved search performance, DPCI integrated Drupal with Apache Solr search platform using the Apache Solr Search Integration module. Since the launch, the company has seen the highest unique and repeat visitor counts in its history, with a corresponding reduction in bounce rate and increase in page views. The entire DRF editorial team now has a hand in writing content and enriching articles with SEO metadata for stories that appear both in print and online. Breaking news stories are filed within the K4 Publishing System and appear online within minutes. And, most important of all, the company is now seizing Top 10 search spots on Google and Bing against its competitors in the horseracing industry. Read more about how DPCI helped DRF define its enterprise content strategy and then helped DRF transform its print and Web publishing workflow using the K4 Publishing system. DPCI's domain expertise, guidance and professionalism helped us to meet our Website redesign goals.